White Dam spans the Middle Oconee River upstream from its confluence with the North Oconee River. 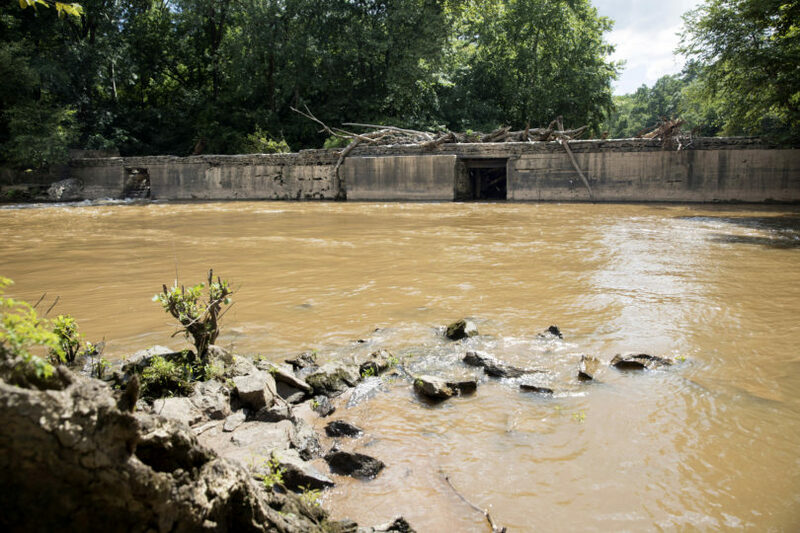 Under the direction of University of Georgia faculty experts and partners from multiple agencies, workers began modifying portions of White Dam, a stone and masonry structure that spans the Middle Oconee River upstream from its confluence with the North Oconee River. The most significant part of the modification began on Monday, July 16, and will continue until the project is completed. The dam is owned and managed by UGA’s Warnell School of Forestry & Natural Resources, and Warnell faculty and students spearheaded multiple studies exploring how modification of the dam could improve aquatic connectivity and wildlife mobility. During the early 20th century, the dam provided hydroelectric power for a nearby textile manufacturing facility, but it has been inoperable for decades. Workers will even use native stone used to construct the dam to stabilize remaining structures. Perhaps the greatest impetus for modifying the dam is its effect on fish and other wildlife. While there are two large breaches in the dam, it is difficult for many fish species to travel upstream, because they cannot swim fast enough through rushing water. Slowing this flow of water by modifying the dam will allow native fish, such as the Altamaha shiner, robust redhorse and the American shad, to navigate the river more easily. A more open river will also allow for the easy passage of recreational watercraft like canoes and kayaks. “This is also a safety issue for us, because the current configuration of the water passageways through the dam is inherently dangerous for boaters,” Shelton said. 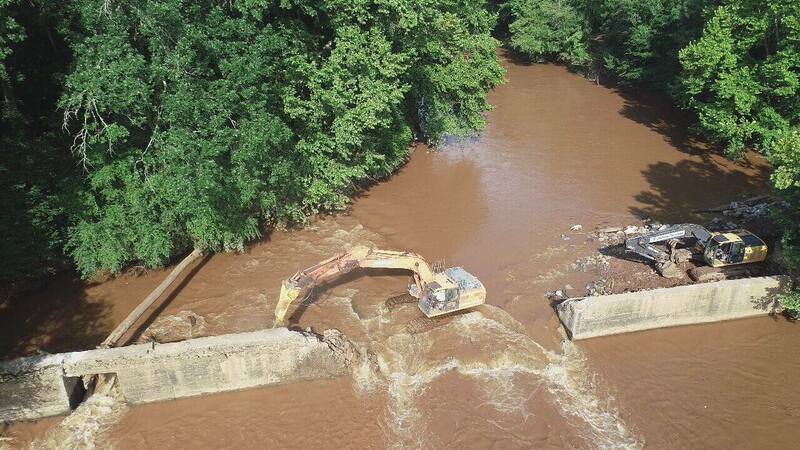 Another safety concern associated with the dam is the accumulation of debris. During high flow periods, woody debris collects on the two existing openings, and Warnell staff must periodically visit to remove the branches, scrap wood and garbage carried down river, which can be dangerous work. University faculty and staff have worked on the project with a number of agencies, including the U.S. Fish and Wildlife Service, the Army Corps of Engineers, Georgia Department of Natural Resources, American Rivers, Environmental Protection Agency and the Nature Conservancy. Personnel from UGA’s school of Ecology and College of Engineering also contributed to the project. Once completed, this project could serve as a model for other similar structures throughout the U.S. that are likely to be evaluated in the future.